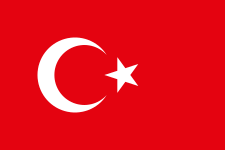 Turkey first participated in Eurovision in 1975, and have participated almost every year since with the exceptions of 1976-1977, 1979 (after being pressurised by the Arab states to not participate in Israel), and 1994 (due to relegation). They have won the Contest once. Since the abolishment of the national language rule in 1999, Turkey more often than not send their entries in English. Turkey’s first Eurovision entry was Semiha Yankı performing “Seninle Bir Dakika”, however they found themselves embarrassed after finishing last with only 3 points. They wouldn’t return to the Contest until 1978, performing in the same show as Greece for the first time after the Turkish invasion of Cyprus. There they didn’t fare much better by coming joint second-last with 2 points. The 1980’s saw a slight improvement in Turkish fortunes, where they also broke the top 10 for the first time in 1986, with the song “Halley” (performed by Klips ve Onlar) finishing 9th. However, they also suffered two more ‘nul points’ results in 1983 and 1987. The 1990’s weren’t much different for Turkey with middling-to-poor results. In 1997 however, they broke the top 5 for the first time, with Şebnem Paker finishing 3rd with her second consecutive Eurovision entry “Dinle” alongside Grup Etnic. At the turn of the century, Turkish fortunes in Eurovision took a huge turn for the better. They started the new millennium with another top 10 result with “Yorgunum Anla” (performed by Pınar Ayhan and The SOS) finishing 10th in 2000. Then a couple of years later, they selected established singer Sertab Erener to perform “Everyway That I Can”, a contemporary pop song with strong ethnic influences. With the very last vote, Turkey snatched their first victory by 2 points at Belgium’s expense, and their upward turn in fortunes was solidified. The following year in 2004, Turkey had the distinction of hosting the first Contest to feature a Semi-final. The host nation themselves made a strong showing, with ska band Athena coming 4th with the song “For Real”. They wouldn’t feature in the Final top 10 again until 2007, when “Shake It Up Şekerim” (performed by Kenan Doğulu) finished 4th. That result started a chain of consecutive top 10 results for Turkey, including another top 5 result in 2009 with “Düm Tek Tek” (performed by Hadise) finishing 4th. Turkey came close to winning again in 2010, with the rock band maNga finishing 2nd with “We Could Be the Same”, after winning their Semi-final. Since the introduction of the Semi-finals in 2004, Turkey have only failed to qualify once in 2011. In 2013 Turkey withdrew from the contest due to disagreements with the format of the contest, and it is not known if they will return in the near future.